“Descend 12,500 feet into the North Atlantic to the deep-sea plain where Titanic lies at eternal rest. 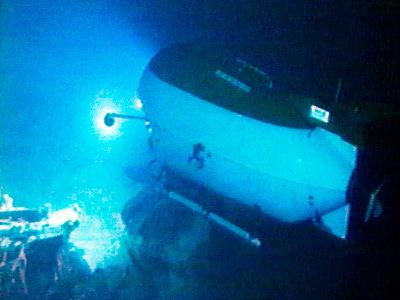 Explore the ghostly wreck and her debris field aboard the Russian 'Mir' submersibles,” advertises the company Deep Ocean Expeditions on their website. At the moment the company says they have 80 people already signed up to take the plunge. But such an experience does not come cheap. A trip into the deep blue will set visitors back by no less than $59,680 for a two-week cruise, which includes one eight to ten hour dive to the ship’s wreckage. Tours will set off from Newfoundland off the coast of Canada to the point where the Titanic sank in 1912, 380 miles out to sea. In spite of the astronomical price, tour leader Rob McCallum says that it is not just the uber rich that have signed up for the tour. “They’re people who have worked hard for their money and not made this decision lightly,” he said. The tour offers participants expert lectures from specialists, practical marine biology sessions and five-star dining during the duration of the trip. 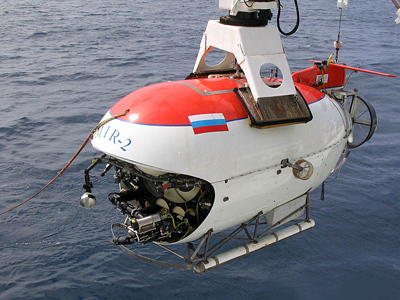 Expeditions had to solicit the services of two Russian 'Mir' submersibles. Among the most advanced vessels in the world, the 'Mir' are capable of diving to depths of 6,000 meters, giving ti access to 98 percent of the ocean floor. The submersible’s large viewing screens and capacity to stay below the surface for a total of 18 hours make it ideal for the task. However, with a cabin space of a mere 7 feet, the experience is certainly not for the claustrophobic. Tours to the wreckage of the Titanic are very rare, the last one taking place in 2005 in spite of high demand. The Titanic sank during its maiden voyage in 1912 after colliding with an iceberg, killing 1,517 of the 2,000 people onboard. Weighing in at 46,000 tons, the Titanic was a technological marvel of the age and the largest vessel ever to be built. Today the ship is a shadow of its former glory, its condition having deteriorated during the past couple of years due to the accidental damage caused by submersibles and the presence of iron-eating bacteria on the hull. Scientists and specialists hope to use the 100-year anniversary of the iconic ship to push for a worldwide agreement for its protection.